The Pennsylvania State Department is facing a lawsuit after officials refused to release records relating to noncitizens on voter rolls in the commonwealth. An analysis found that there are allegedly more than 100,000 noncitizens that are currently registered to vote, according to a Philadelphia official's testimony before a Pennsylvania government committee last year. The Public Interest Legal Foundation (PILF), an election integrity group, initially threatened the lawsuit against Pennsylvania's State Department in December after officials in the state were unresponsive to PILF's requests to inspect the data relating to noncitizens on the state's rolls. PILF filed the complaint Monday afternoon in the U.S. District Court for the Middle District of Pennsylvania seeking injunctive relief to compel Pennsylvania's State Department to allow the group access to the information. Al Schmidt, a Philadelphia city commissioner, disclosed a "glitch" in September 2017 at "Pennsylvania Department of Motor Vehicle branch offices was enabling noncitizens to register to vote when they applied for or renewed their driver's licenses." In early October, then-Pennsylvania secretary of state Pedro Cortes abruptly resigned from his position. PennLive called it a "mystery departure" and noted that, "Cortes's agency also caught flack in September for disclosures that hundreds of legal, non-citizens in Pennsylvania had been improperly offered a chance to register to vote most often while applying for drivers' licenses at PennDOT customer service centers." During testimony before the Pennsylvania State Government Committee of the House of Representatives in late October, the PILF and Philadelphia officials said that procedural failures invited noncitizen registration in Pennsylvania Department of Transportation (PennDOT) offices. The Pennsylvania Department of State said that an effort to identify noncitizens in the voter registry that have yet to report themselves was underway. "According to Commissioner Schmidt, the Department of State has completed the Noncitizen Matching Analysis," PILF's complaint reads. "In his oral testimony, Commissioner Schmidt stated that the analysis revealed over 100,000 matches, meaning that the analysis showed over 100,000 noncitizens who were presently registered to vote in Pennsylvania." The PILF expanded upon their requests from the Pennsylvania Department of State in December asking for records related to all PennDOT matches in addition to records of "noncitizen self-reported cancellations." Following the request, the Pennsylvania Department of State notified the PILF that they would not be allowed to view the documents, prompting the lawsuit. "For months, Pennsylvania bureaucrats have concealed facts about noncitizens registering and voting—that ends today," said J. Christian Adams, president and general counsel of PILF. "Before this lawsuit, the State admitted to a ‘glitch' that exposed thousands of driver's license customers to voter registration offers despite their noncitizen status since the 1990s. The Secretary of State abruptly resigned. DOS officials blocked federal public inspection rights. The PILF hopes to finally get answers about the true scale of noncitizen voting in Pennsylvania and assist lawmakers in crafting reforms that fix it." The director of the office of communications at the Pennsylvania Department of State said that they do not comment on litigation. 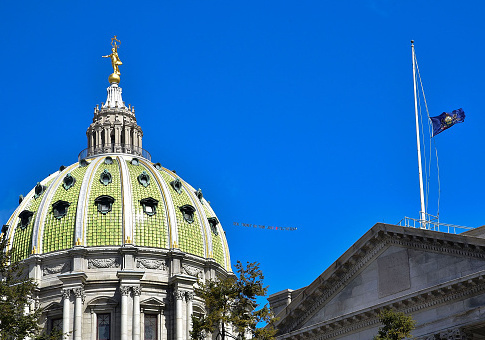 "Time has run out on the Pennsylvania's effort to hide embarrassing data about how the State failed citizens and immigrants alike," said PILF's spokesman Logan Churchwell. "The electorate deserves an informed debate on how we address unlawful noncitizen participation in our elections. Seeking this information is step one." This entry was posted in Issues and tagged Pennsylvania, Voter Fraud. Bookmark the permalink.